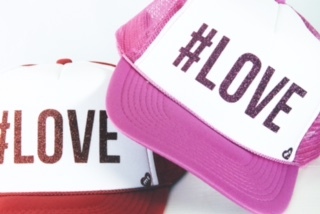 Cupid’s arrow hits the mark this Valentine’s with the passionate, love-filled fun of a Mother Trucker & co. hat! 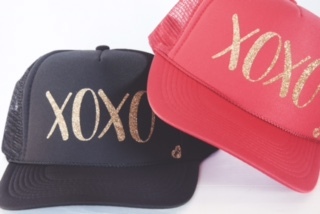 Mother Trucker & co. truckin’ hats celebrate the love in the air with heart-filled expressions of l’amore for those ardent, fiery ladies who like to show off their love of life. Share the passion with these cool, cheeky trucker hats, which are smaller than regular trucker hats and without all the extra space on the cap top. 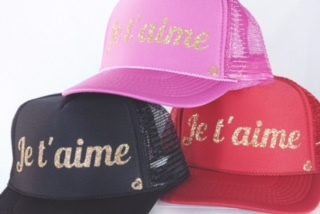 Mother Trucker & co. hats come in fun, flashy colors and designs with fervent messages of “Je t’aime,” #LOVE, and XOXO, or fun-loving phrases such as “Hot Mess” or “Shell Yeah.” The hats retail for $25. Mother Trucker & co. hats fit any outfit, mood or event. The hats have a huge following of fellow “boss ladies” and celebrities such as comedian Jenny McCarthy, TV stars Kail Lowery and Christina El Moussa, Real HouseWives of Orange County stars Gretchen Rossi, Lizzie Rovsek and Vicki Gunvalson, and actresses Ava Cantrell, Jana Kramer and Sabrina Bryan — just to name a few - proudly rock Mother Trucker & co. hats. Thank you for taking the time to read our Valentines Day 2016 fashion blog post. If you have comments or questions, please add your thoughts in the discussion area below.